“John Scott” is a reporter. 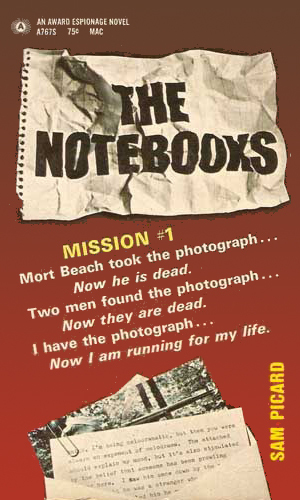 The series is called "The Notebooks" even though a notebook doesn't really play a part. It's more to do with the fact that the protagonist is a newsman and jots down his facts in a notebook. The newsman is the best way to describe the hero as his name is never mentioned. He gives the alias of John Scott once or twice as time goes by but his real name remains a mystery. What news organization he works for is also a mystery although he comments that he is moderately successful but has never reached the upper level of the business and aspires to it. It is a Washington-based job with the articles written going to several papers on the chain. He comments at one point that he has six different editors who might review his writing. He does not solely report on national events, though, as in the third book he is in Paris returning from some time in Beirut where he was reporting the trouble in that region, showing he has a global beat. According to sketchy information, the newsman is in his mid to late 30’s, is on the tallish side and is quite strong. He is naturally very inquisitive but seldom pleased with how his snooping often brings out anger in others and they often bring out guns. He is open with authorities, seldom playing cagey but he is often suspected of being a secret agent despite his honesty. His activities in the world of intrigue are neither planned nor desired but they happen nevertheless. All three adventures follow the same concept of an innocent story that mushrooms into a major life-threatening escapade. Each story is well-thought out and interesting. A friend of the newsman took a photograph as part of an assignment. 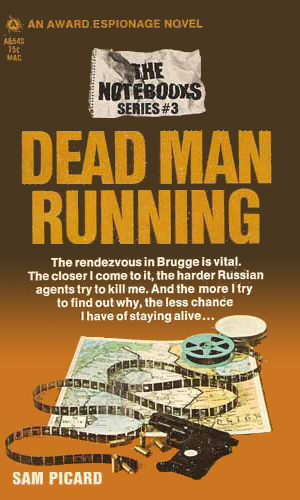 When he developed the film and saw what he had captured, he contacted the newsman but was dead soon after. Now someone wants the newsman dead as well. 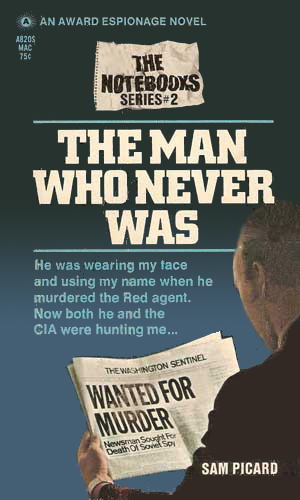 Captured by the Soviets and held onboard a Russian trawler, the newsman eventually realizes the interrogations weren't for facts, they were to kill time while someone who looked just like the newman could carry out an assassination. Pictures of a Soviet missile installation are the reason everyone is after the newsman even as he tries to find out why they are so valuable. What the picture was wasn't the issue but where they were taken. Getting over the fact that it annoys the daylights out of me that the hero's name is never given, I enjoyed the books. Just having the man give an alias a couple of times is the same as tell us, the readers, who the hero is. Sure, keep it from the bad guys but we paid for the books! Wrong-place-wrong-time elements seem to be stretched a bit, especially in the second book in the series, but they are well written and worth reading. I wondered at times, like during the interrogation at the hands of the KGB, how a reporter could remain quite as calm as he does but it was fun nevertheless.